VIP Sprinter Shuttle 12-14 Passenger from First Class Customs Inc. The Ultimate in Corporate | Event Transportation has arrived. This Upscale VIP Shuttle features all of the luxury and conveniences for group transportation. ( 12 ) Black Halo Ultra Soft Touch Leather High Back Top of the Line Captain Chairs with Bentley Stitching. Driver & Co-Pilot Seats Recovered to Match Color of Rear Seats. 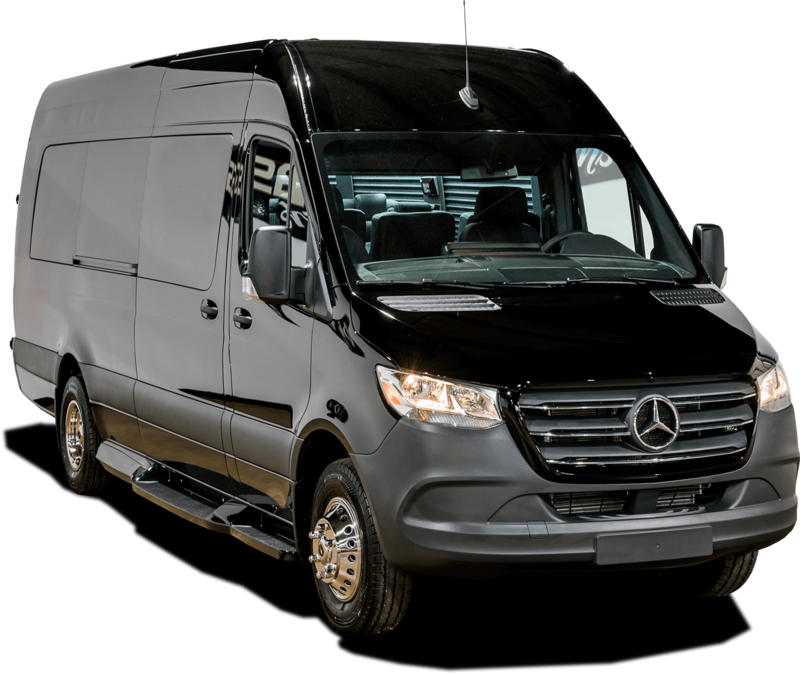 The Sprinter is not “cut” or modified beyond original specifications. At First Class Customs we are using a blank canvas that has been engineered by the experts at Mercedes Benz. The VIP Shuttle features comfortable high end leather seating, custom illuminated ceilings and much more. At First Class Customs Inc., we offer the latest technology in every one of our VIP Sprinters.